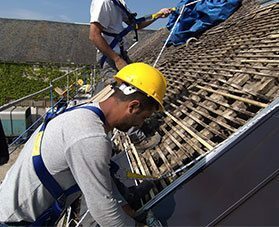 Regardless of the type of roof, over time the effects of exposure to the environment, like UV rays, thermal shock, expansion and contraction, foot traffic, acid rain, hail and snow, etc., all contribute to a number of problems that can lead to difficult-to-pinpoint, bothersome, and time-consuming roofing repairs. 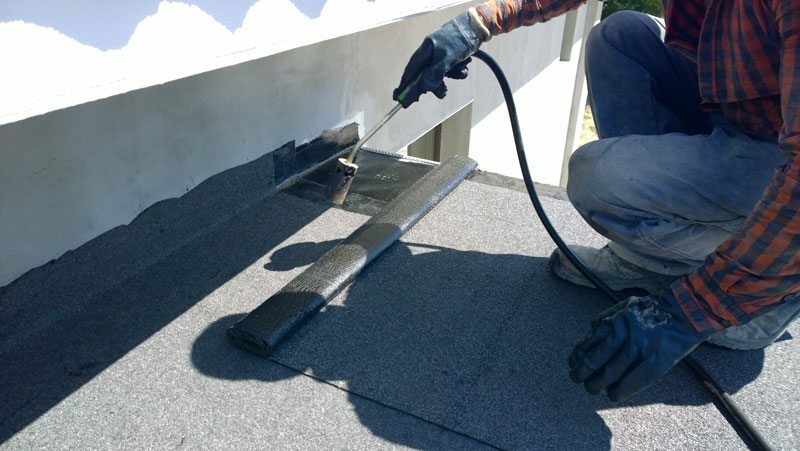 The skilled commercial roofing and metal roof repair crews at Hamlin have worked on most every type of commercial roof system, including the traditionally difficult-to-repair commercial roofs such as TPO, EPDM, PVC, Hypalon, Metal, and more. Hamlin truly understands how each commercial roof is built and how they are designed to function, making us your ideal partner for all of your commercial roofing repair needs. We understand the frustration that can accompany the need for commercial roofing leak repairs, and our ability to diagnose the problem and identify the proper corrective action is what makes us a preferred commercial roofing repair contractor across the Southeast. Support is available 24/7, and we provide the best service possible through our veteran, professional commercial roofing repair technicians that have many years of experience.